Forty years ago, DB Schenker recognized serious potential in the expanding Mexican market and started offering complete air, ocean, land, customs clearance, and other importing and exporting services to a wide range of shippers. At the time, Mexico was a closed economy with extremely limited import and export activities, but DB Schenker knew that the winds of change and progress would soon alter that landscape. Mexico’s economy depended on the oil and tourism industry until the country subsequently entered the manufacturing industry and opened up its economy to imports with the signing of the Free Trade Agreement (NAFTA) with the U.S. and Canada. DB Schenker was there to help shippers take advantage of the new “open door” trading policy. Initially doing business as Transglobal (through a shipping company), and then as Schenker Panamericana, the company launched its Mexico operations with a combination of project load and non-containerized cargo. It would later add both air import and removal services. In 2005, Schenker International S.A De C.V. expanded to Guadalajara, Monterrey, Querétaro, Puebla, Mexico City International Airport, and Cancun International Airport. Five years later it was the official transporter of the FMF (World Cup South Africa 2010) and in 2012 the company started its contract logistics operations in Guadalajara. Fast-forward to 2018 and DB Schenker maintains a presence in more than 19 cities in the Mexican Republic. Ranking among the most important freight and logistics agencies in the country, the company is certified under ISO 9001: 2008 and ISO 14001: 2004. Having experienced exponential growth over the last four years, the company currently maintains general management, sales and marketing, and finance departments plus maritime, land, air, customs, oversized cargo, contract logistics, human resources, information technology, and quality and environmental management. With a corporate office located in Mexico City and branches in Queretaro, Guadalajara, and Monterrey, DB Schenker has commercial offices in Puebla, Leon, San Luis Potosi, Aguascalientes, Saltillo, Laredo, Tijuana, Merida, and Cancun. In addition, the company has contract logistics warehouses situated in Guadalajara and Juárez City. 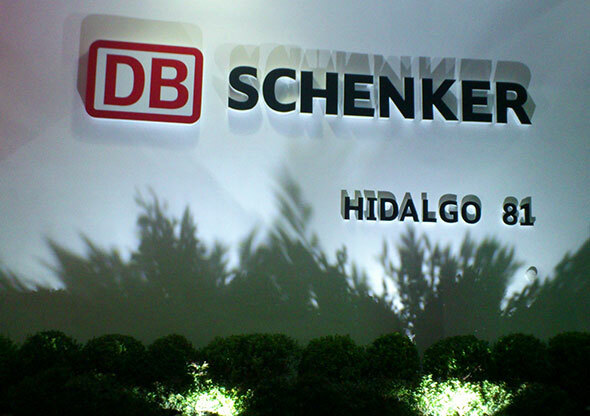 DB Schenker Mexico has worked with a wide range of customers over the last four decades. 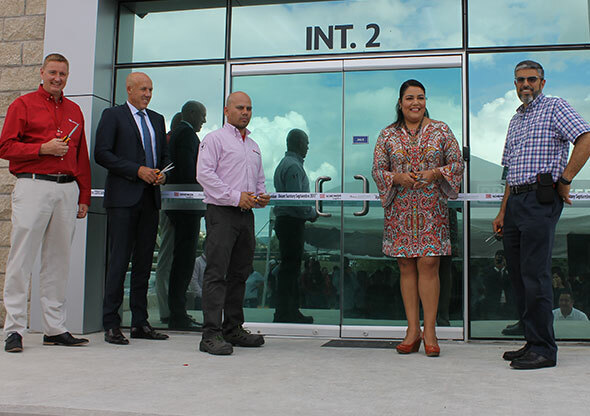 In 2017, for example, it opened a brand-new, 60,000-square- foot logistics facility for Tequila Sauza, a Beam Suntory brand, in Guadalajara. From this dedicated facility, Beam Suntory uses DB Schenker’s full scope of human resources, warehouse equipment, and contract logistics capabilities to manage the export of its finished goods. “This facility is entirely focused on Tequila Sauza end-to- end export requirements,” said Jesus Barba, DB Schenker Branch Manager. Within the facility, the Consejo Regulador del Tequila (Tequila Regulatory Council) maintains dedicated space where it will perform the validation of products for export. Tequila Sauza is also utilizing DB Schenker’s warehouse management system (WMS) to support and automate its day-to- day logistics operations and centralize the tracking inventory levels and stock location. 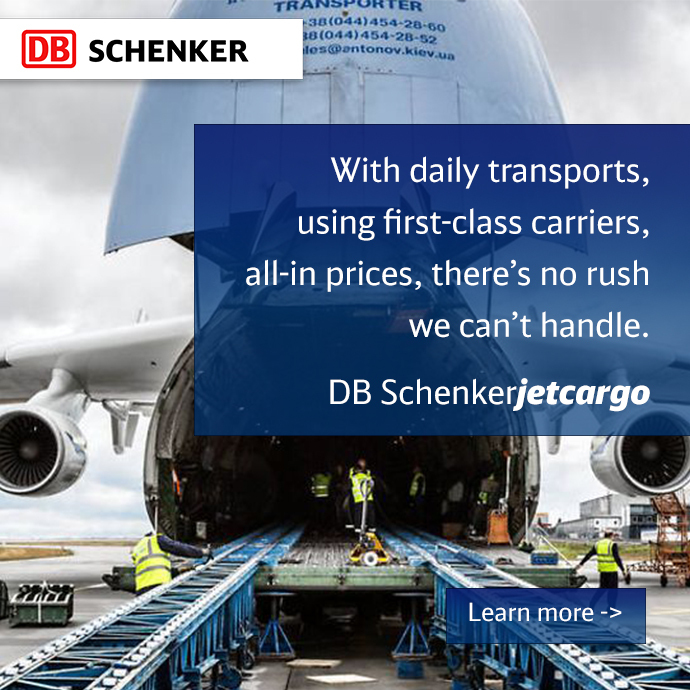 As the only freight forwarder in Mexico to offer overnight customer service, DB Schenker provides a “Track & Trace” service to monitor shipments and provide complete end-to-end supply chain visibility. It also offers a “Smart Box” device for constant temperature and humidity control. Looking ahead, Soda says DB Schenker plans to follow the Primus strategy of becoming a market leader across all of its products over the coming decade while at the same time expanding its operational and commercial structure throughout the Mexican Republic.